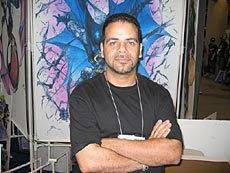 Angel Medina began his career with Megaton Publications (Berzerker, Megaton) and First Publishing (Dreadstar, Jodah the Hammer) in the second half of the 1980s. He then went to Marvel Comics, where he had runs on The Incredible Hulk, Warlock and Infinity Watch, and The Avengers. Later on, he joined Image Comics with Todd McFarlane, where he was the artist of Sam and Twitch, a spin-off of the two very popular characters from McFarlane’s Spawn. He eventually began focusing primarily on the main Spawn comic, which he has drawn for several years. He has also worked on the Kiss: Psycho Circus title, based on the famous pop group. 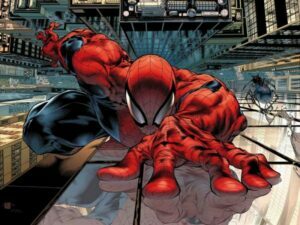 In 2005, he was assigned to the Marvel Knights Spider-Man title with writer Roberto Aguirre-Sacasa at Marvel.